This was purchased in 1997 and is located on an attractive site of over 13 acres in the increasingly popular Carlsbad area. 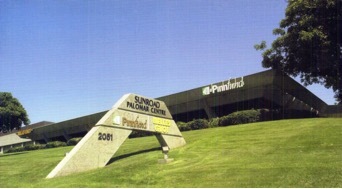 The building has a uniquely angled architectural theme that is reflective of nearby Palomar Airport. This building was vacant when purchased. After leasing and stabilizing the project, it was sold in 2001.